Aren’t there some smells that you just totally love? Things that smell so clean to you? And no, I’m not talking about cleaners. Last year, I started simmering a mixture of citrus and a few other ingredients on the stove as an air freshener. Nothing fancy, nothing expensive. Plus, the best part, for me, is that I tend to always have these ingredients in my kitchen. See my rosemary sprig? That was actually what I was looking for in my garden when I spotted my rosemary plant had sprouted. And, it was still alive and well in spite of a hard frost. 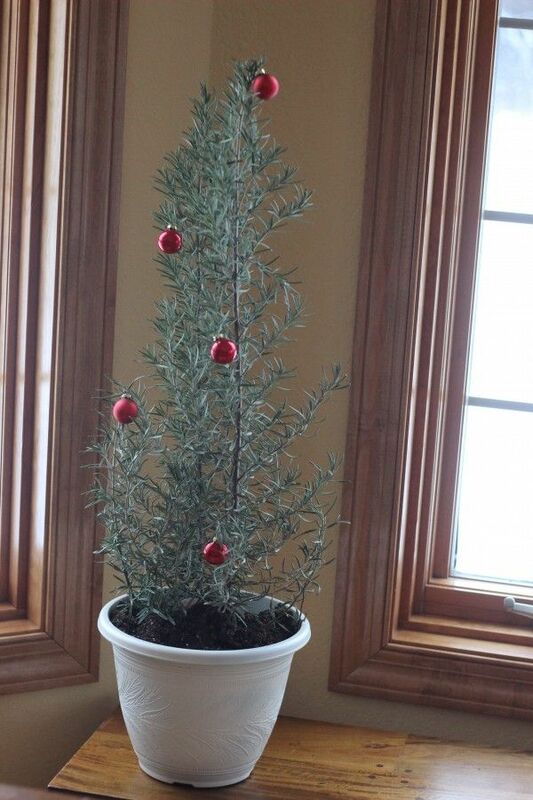 I even brought that rosemary inside and decorated it for Christmas! Isn’t it so cute?? I’m so glad I brought it in. I’ve been using sprigs of rosemary in my cooking and for my air freshener. I’m sure this will last me the winter and then some. Maybe I can replant it outside in the spring. Oops, I’ve digressed a bit. 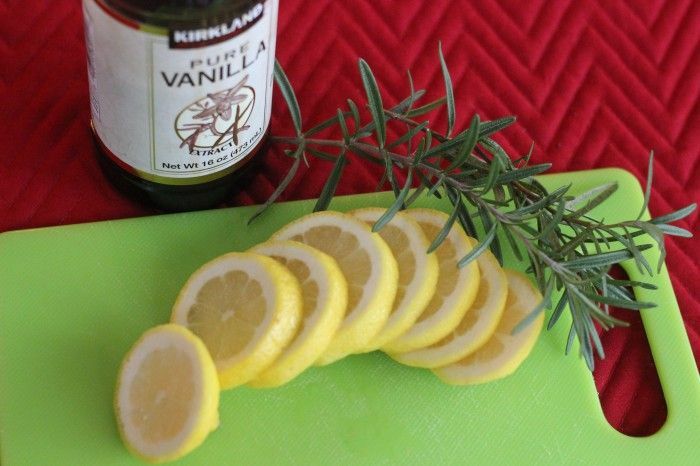 My most favorite air freshener scent, is a sprig of rosemary, a sliced lemon with a couple of tablespoons of vanilla in about 2 cups of water. Mmmmmmm, it smells soooo good and so fresh! 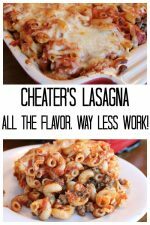 Just throw it all together in a saucepan and simmer! If you start running low on water, just add a little more. A little hint! I have a small $12.00 crock pot. I often transfer everything into that. I just feel a little more comfortable leaving that on for longer periods of time. In my mind, it’s just a little safer. 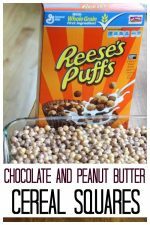 Just make sure any additional water you add is hot (just microwave it before you add it to the little crock pot). This mixture is fine for at least a couple of days. Here’s a HUGE hint. Your garbage disposal will thank you for it! I usually pour this into my garbage disposal, leave it for an hour or two and then turn on the disposal. The citrus helps clean it and if there was a nasty smell, it’s gone. You’ll have the best smelling garbage disposal on the block! If you are the kind of person who needs recipes for inspiration, The Yummy Life has the best recipes. 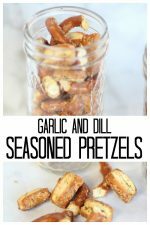 If you spent any time on Pinterest last year, you may have seen her recipes. Me, on the other hand, I usually just use what I like and have handy. Usually it’s awesome….the odd time it’s not. I’ve been eyeing my fir trees and my arbs outside – and my cranberries in the fridge. Hmmm, throw in a little vanilla to bring it together and I bet it’ll be awesome. 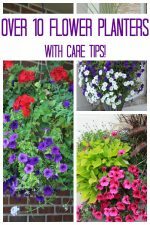 Click the button for my other favorite chemical free air freshener! 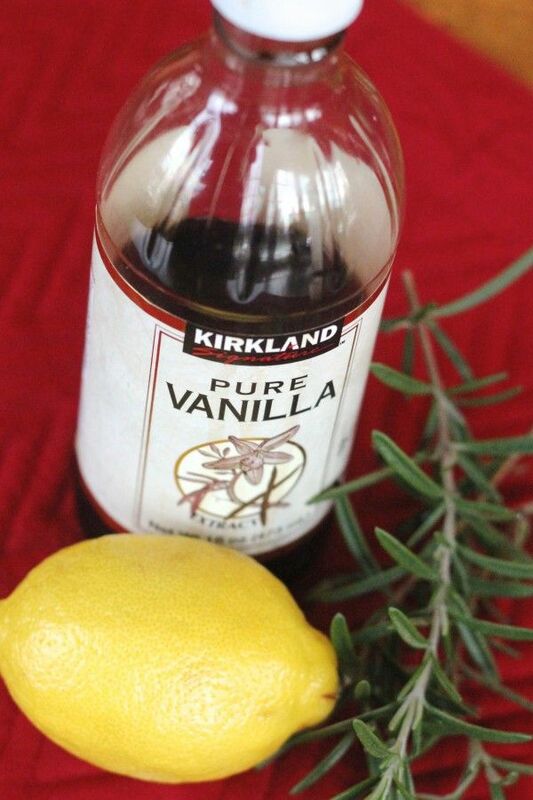 Do you have a favorite way of keeping your house smelling fresh? Especially in the winter? Please share in the comments. « Soggy swim suits – what to do with them! 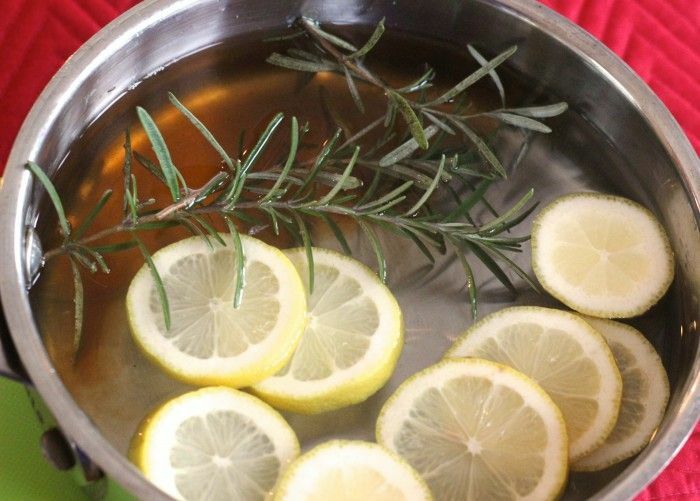 Can you use rosemary essential oil instead of fresh herbs? More interested in your success with growing the Rosemary. We have a plant however no where near as large as the one pictured. Are you fertilizing? can I substitute an orange or use lemon juice? That sounds so good! I will have to try your suggestion soon. Love the post. My favorite “twofer” is baking apples with a dab of butter and about a quarter cup of cola for each apple. Be generous with the cinnamon and the house will smell incredibly good and everybody knows what’s for dessert! I made something similar two years ago with dried materials, (dried orange slices cinnamon sticks, cloves etc) as my gift to everyone. 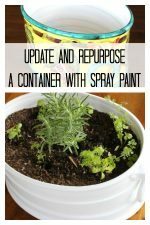 I love your idea using things you already have on hand, especially using fresh herbs like your rosemary.